I have the perfect tutorial for you – just in time for Easter! 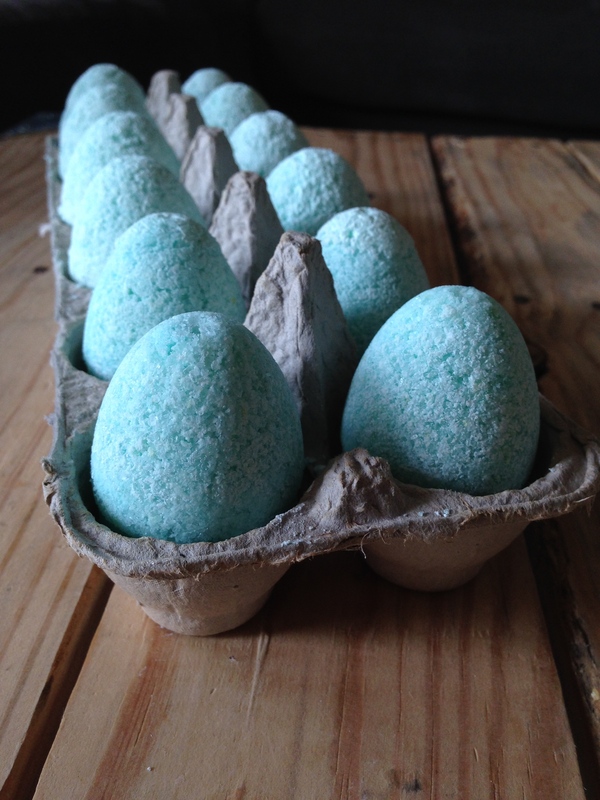 These Easter Egg Bath Bombs make an adorable basket stuffer. This recipe cost just a few dollars for the entire batch, less than what ONE bath bomb would cost at Lush! 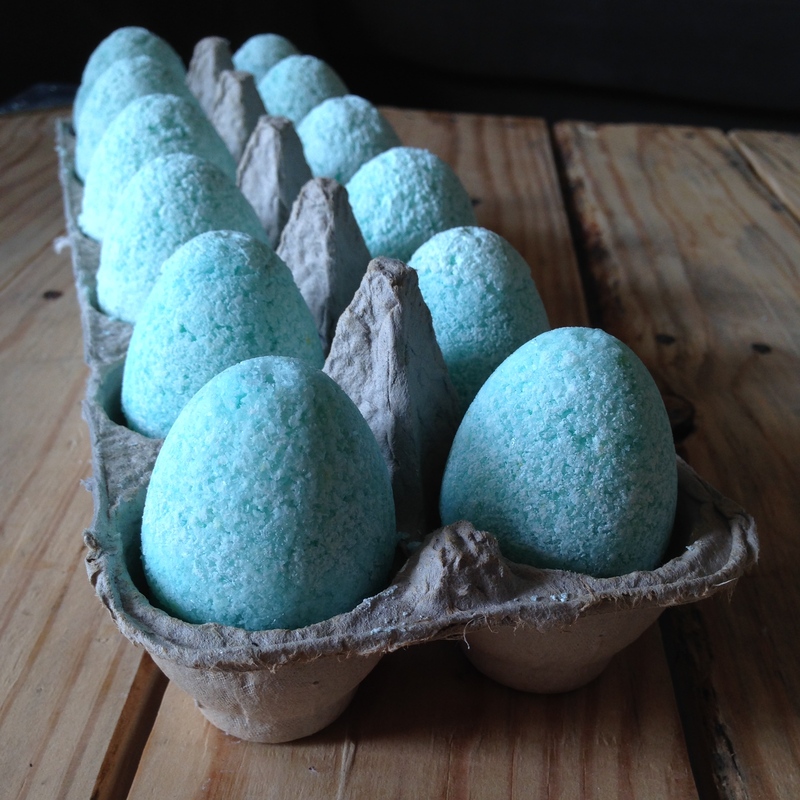 These egg bath bombs will add a light scent and color to a bath, and they’ll leave your skin feeling soft and smooth. I created my bath bombs by slightly altering this recipe. The amount of bath bombs that you end up with will depend on the size of mold that you use. 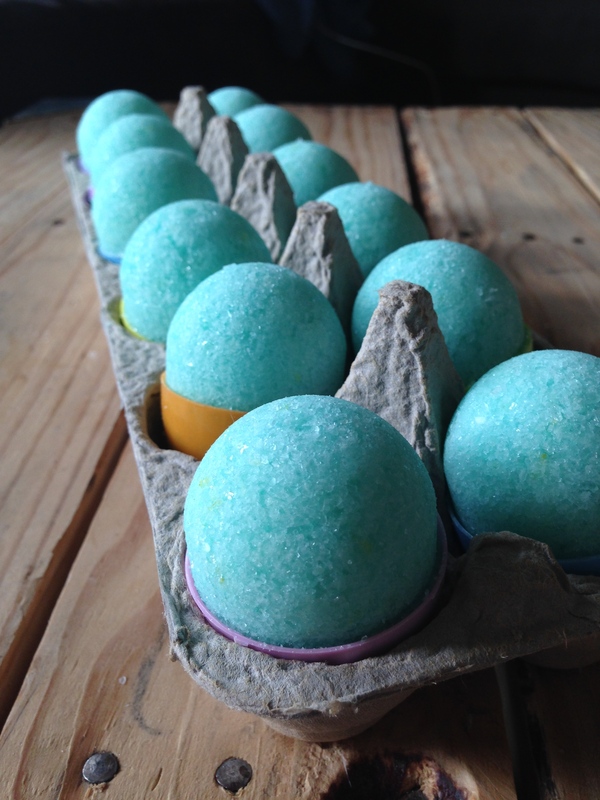 I used small Easter eggs to create about 18 bath bombs. 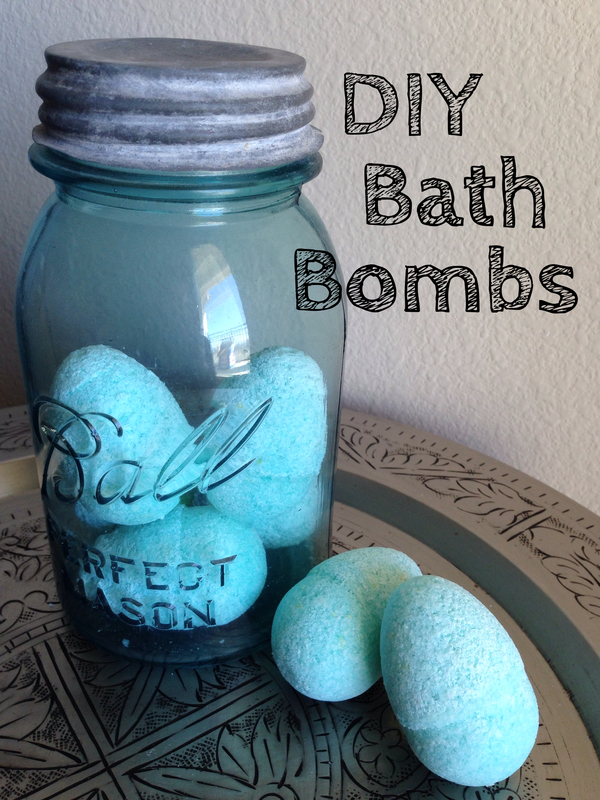 You could halve this recipe if you’d like to make just a few bath bombs. Epsom salts come in a large carton or bag… in most stores it can be found in the bath and body section, sometimes near the bath salts. Combine water and essential oil. 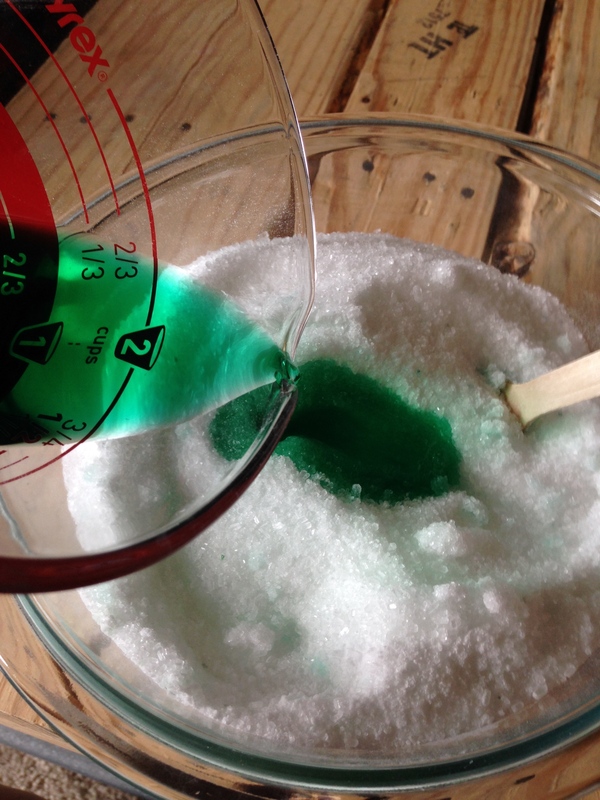 Mix in a tiny bit of food coloring, stir until food coloring has dissolved. In a large bowl, mix together dry ingredients. Add liquid ingredients and then use a spoon (or your hands) to mix well. The mixture should be compact-able (kind of like snow), but not too moist or sticky. Extra salts or water can be added to help the consistency. Cut plastic eggs apart so they are two separate halves. 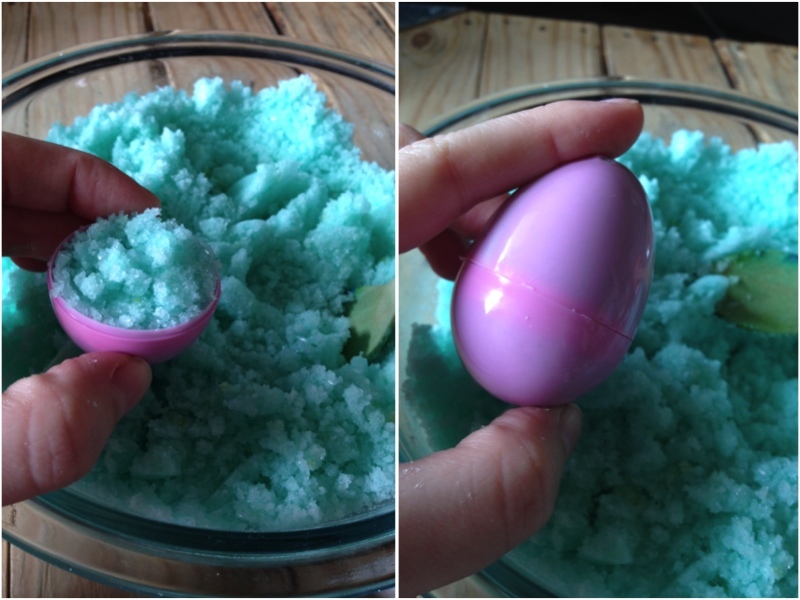 Press the bath bomb mixture into both halves then twist the egg shut. Carefully twist and remove half of the plastic egg. Let sit for 8 hours before twisting off the remaining plastic egg half. The trick is to remove the bath bomb when it has set up enough so that it isn’t too soft that it will fall apart and before it has cemented itself into the plastic. 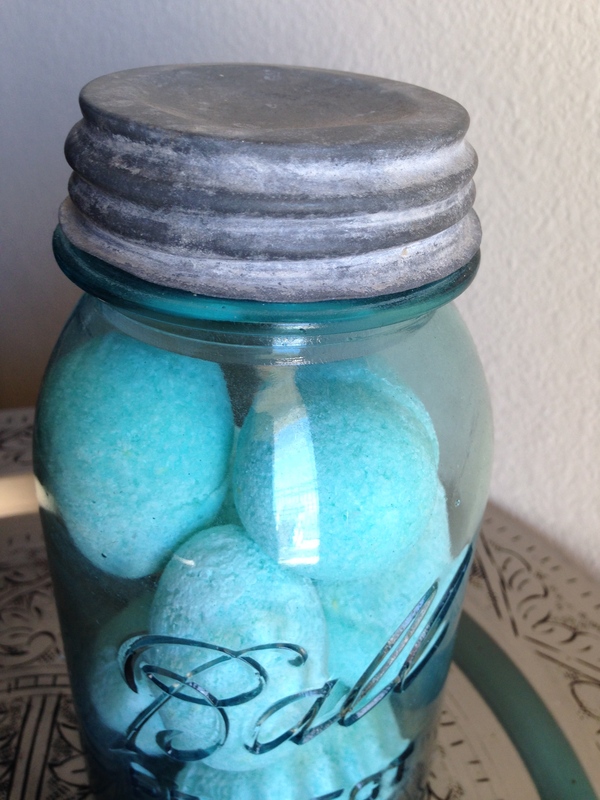 Let bath bombs sit out and dry for several days, then place in an airtight container. To use: Dissolve several eggs into a warm bath. Enjoy! I love this idea, perfect Easter gift for someone who doesn’t need/want chocolate! Very cool – love this idea!